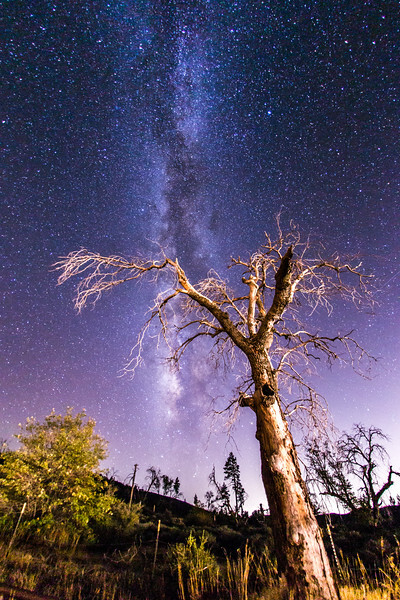 Milky Way and a spooky tree. Take 2. Filaree Meadow in Mount Laguna, California. In the middle of shooting this frame a car came down the nearby highway and the headlights lit up the tree. I like how the unintended lighting effect turned out here. This shot was taken a few seconds after the previous shot - this time the car's headlights were much closer and illuminated the tree even more.